Considered one of Britain’s most significant artists Stanley Spencer is famous for his singular vision, but Counterpoint sets out to demonstrate that he was part of a zeitgeist which spawned some of the greatest artists of the twentieth century. 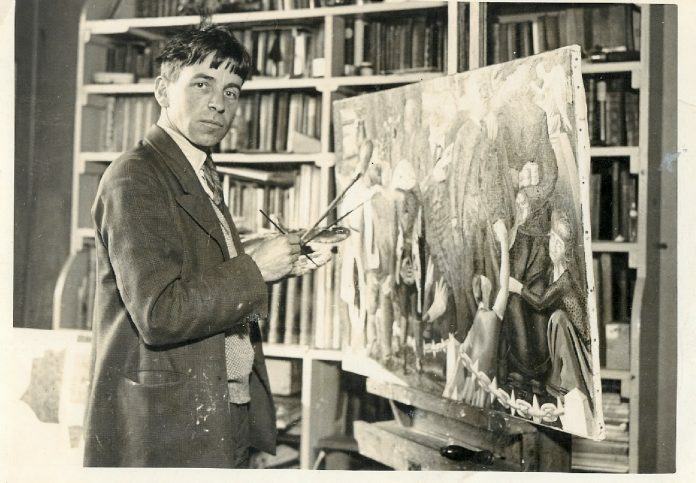 The Stanley Spencer Gallery is devoted to the work of one of Britain’s greatest painters, a visionary artist, whose name became synonymous with the village he immortalised. The gallery opened in 1962, three years after Spencer’s death, in the former Methodist chapel where as a child he worshipped with his mother. Built in 1846, it has been described as a ‘simple Gothic structure for sheep gone astray’. 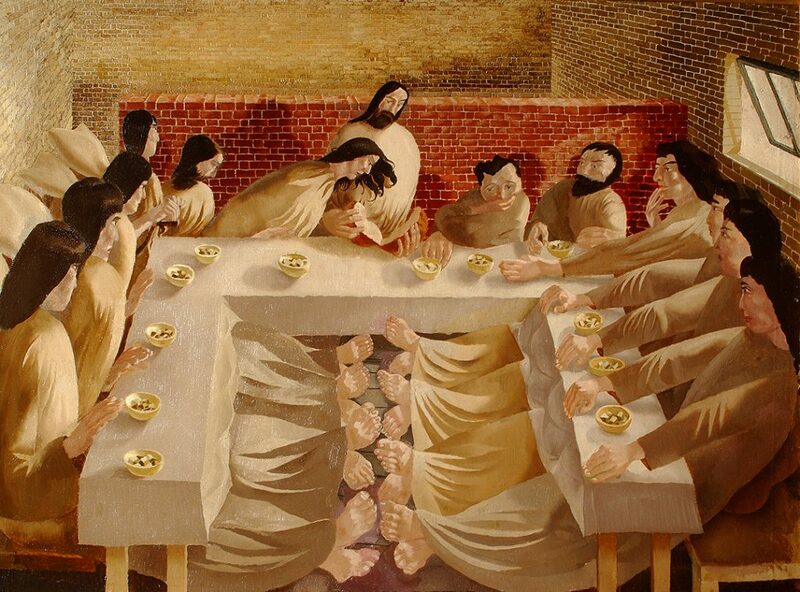 Counterpoint inevitably pays homage to Spencer’s affiliation with Cookham through works such as The Last Supper (1920) (set in a local malt house) and Patricia at Cockmarsh Hill (1935). The aforementioned works highlight his famous association with religious painting, depicting Biblical scenes occurring in his ‘heavenly’ village or eluding to his tumultuous marital relationships through the domineering images of Patricia Preece. The exhibition also makes clear Spencer’s great range – his sense of the topography of Cookham or Macedonia, the animation of a regatta, the frenzied activity of a wartime shipyard, everyday rural happenings, the common human aspect of overpowering religious events – all these are, while apparently so disparate, seamlessly welded together in his unique vision. However, what really marks this exhibition out from previous opportunities to witness the breath of Spencer’s work is the chance to experience it alongside his contemporaries, successfully contextualising his place in the history of Modern British art. Divided into seven thematic strands, the first of which is ‘The Slade’, where many of the artists in the exhibition trained. It was here that their tutor, the renowned draughtsman, Henry Tonks, described them as a ‘crisis of brilliance’, such was their talent. 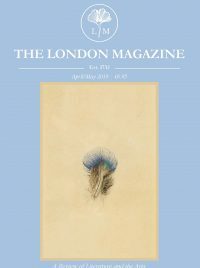 The other themes – the Great War, Religion, Landscape, The Artist’s Muse, The Long Weekend and World War II – enable us to look at how artists experienced and portrayed their shared histories. The exhibition is comprised of thirty-nine works — twenty from the Stanley Spencer Gallery and nineteen spectacular loans from the Ingram Collection. The loans include works by many of the leading lights of twentieth century British art including, David Bomberg, Henri Gaudier-Brzeska and Mark Gertler, as well as highly deserving pieces by less well-known figures such as Glyn Philpot and Dod Proctor. 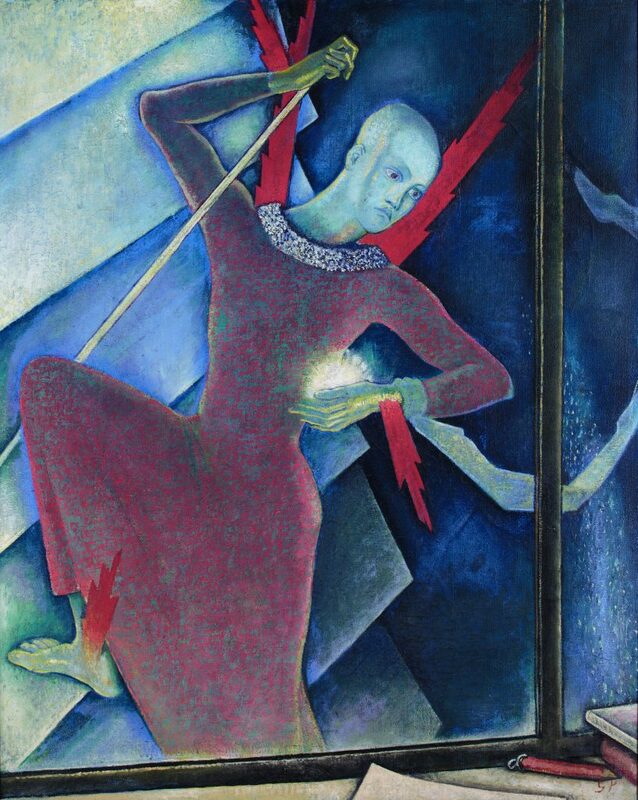 A particular highlight is a mystical painting by Glynn Philpot – his Ascending Angel, looming above what is probably an artist’s garret shows a divine event in an everyday setting. Elevating the commonplace was something of a specialism for Spencer. In Sarah Tubb and the Heavenly Visitors, ‘Granny Tubb’ is shown on her knees in Cookham High Street convinced that the world had ended. She is accompanied not only by celestial beings, but also by the less-than-celestial grocer’s son. Another highlight is Mark Gertler’s The Doll, which is a striking still-life painted just after he left the Slade; in it an everyday object is imbued with an almost sacred reverence. In Brockley in April, David Jones brings a spirituality to the place of his birth, just as Stanley Spencer did with Cookham. Ultimately this exhibition is about the coming of age of a stellar group of artists through whose works we encounter some of the most seismic events of the past century: two world wars and huge social, economic and political change. Not only does this new show successfully present the singular genius of Spencer, but it situates him in the history of Modern British Art. For the first time we are given the chance to experience Spencer’s works among his contemporaries and explore how each diverse and at times similar approach to creation was influenced by the magnitude of the aforementioned events and changes taking place within society.